Law Web: Whether award debtor should obtain stay to execution of award if arbitration proceeding commenced prior to coming in to force of Amendment Act 2015? Whether award debtor should obtain stay to execution of award if arbitration proceeding commenced prior to coming in to force of Amendment Act 2015? In State of Bombay (in both the appeals) v. 1. Supreme General Films Exchange Ltd. and 2. Arati Cotton Mills Ltd. reported in MANU/SC/0007/1960 : AIR 1960 SC 980 cited by Mr. Mitra. Mr. Justice Das pronouncing the judgment of the Supreme Court pronounced the dictum that interference with the right of appeal by inserting a new condition or a more onerous condition was not a matter of procedure only. It impaired or interfered with a substantive right. Such an enactment could not be retrospective unless expressly stated to be so. "26********* (ii) Law relating to forum and limitation is procedural in nature, whereas law relating to right of action and right of appeal, even though remedial, is substantive in nature. (iii) Every litigant has a vested right in substantive law, but no such right exists in procedural law. 28. **********We are, therefore, of the view that where a repeal of provisions of an enactment is followed by fresh legislation by an amending Act, such legislation is prospective in operation and does not affect substantive or vested rights of the parties unless made retrospective either expressly or by necessary intendment. We are further of the view that there is a presumption against the retrospective operation of a statute and further a statute is not to be construed to have a greater retrospective operation than its language renders necessary, but an amending act which affects the procedure is presumed to be retrospective, unless amending act provides otherwise. We have carefully looked into the new substituted Section 15 brought in the parent Act by the Amendment Act, 1995 but do not find it either expressly or by necessary implication retrospective in operation which may affect the rights of the parties on the date of adjudication of suit and same is required to be taken into consideration by the appellate court." 24. Therefore, to put it shortly changing the forum of appeal or the location of the appellate court is a procedural matter. But a new Act or amending Act changing the right of appeal or the conditions under which an appeal can be filed deals with a substantive right of a person. A vested substantive right of this nature is usually not disturbed by a new or amending Act. If such a right is sought to be extinguished there has to be an express or implied provision. This court relying on numerous decisions has held in Saraf Agencies Pvt. Ltd. and Ors. v. Federal Agencies for State Property Management and Ors. that an application to set aside the award is to be treated like an appeal and that all substantive rights accrue at the time of commencement of arbitral proceedings. 25. By amendment of Section 36 of the Arbitration and Conciliation Act, a party challenging an award has to deposit with the registry of the court the awarded amount or secure it to the satisfaction of the court, as a condition precedent to obtain stay thereof, pending the setting aside application, which condition was absent prior to the amendment. This is certainly an alteration of the conditions under which such an application was heard prior to the amendment, when stay was automatic on filing of a valid setting aside application. Thus the substantive rights of an award debtor have been affected. 26. The Special bench judgment of our court in the case of Union of India v. Amitava Paul along with the connected matter reported in MANU/WB/0371/2015 : AIR 2015 89 (FB) has only held that Order 41 Rule 1(3) was directory in nature. It made no comment as to whether the provision was to be taken as procedural or substantive law. 27. I do note that this court's view in Saraf Agencies Pvt. Ltd. and Ors. v. Federal Agencies for State Property Management and Ors. has been endorsed in the later case of Braithwaite Burn & Jessop Construction Co. Ltd. v. Indo Wagon Engineering Ltd. by Mr. Justice Soumen Sen.
28. 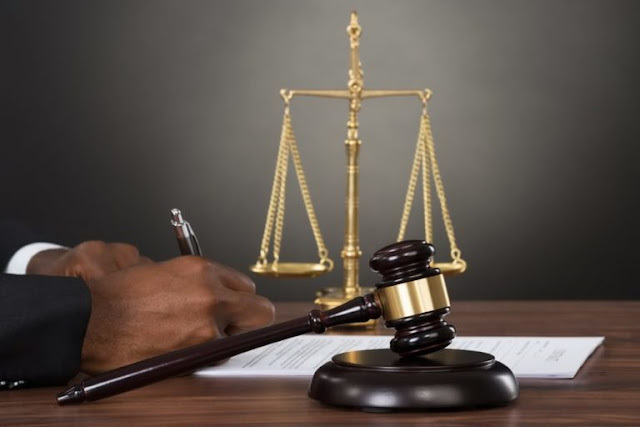 Hence, the law prevailing at the time of commencement of the arbitration will apply till the disposal of the setting aside application at the highest level. The amending Act of 2015 did not alter any vested substantive right. Therefore, the right of the petitioner in arbitration which commenced before the coming into force of the amending Act, to challenge the award without any condition is preserved by the amendment Act. 1. On 27th May, 2011 the arbitral proceedings between the parties commenced. On 24th August, 2015 the award was made and published by an arbitral tribunal. On 23rd October, 2015 the Arbitration and Conciliation (Amendment) Act, 2015 came into force. On 1st December, 2015 the present application (A.P. 1709 of 2015) was made by the West Bengal Power Development Corporation, to set aside an award for a substantial sum of money that had been passed against them by this tribunal. 2. Now, the question is whether that award is presently enforceable? Does the petitioner have to take any steps to prevent the immediate enforcement of the award by the respondent, by applying for stay of the award before this court? Is the petitioner required to deposit the awarded sum or secure it in court to obtain this stay? 3. Under the Arbitration and Conciliation Act, 1996, before its amendment, if an application to set aside the award under Section 34 of the said Act was validly filed in court, the award could not be enforced during its pendency. Only if it was dismissed the award could be enforced. Not only that, a time period of three months from the date of receipt of the award by the parties was prescribed within which this application could be filed and during that time period and a period of delay of 30 days which could be condoned by the court, the award could not be executed. 5. In the decision given by this court in Saraf Agencies Pvt. Ltd. and Ors. v. Federal Agencies for State Property Management and Ors. reported in MANU/WB/0189/2017 : AIR 2017 Cal 65 this point was directly in issue. This court held that Section 26 of the Act amending the Arbitration and Conciliation Act, 1996 had to be interpreted in a manner so as to give a proper meaning and purpose to it. It held that "arbitral proceedings" mentioned in the first limb of Section 26 of the Amendment Act referred to the arbitration reference before the arbitrator, following Tufan Chatterjee v. Rangan Dhar reported in MANU/WB/0139/2016 : AIR 2016 Cal 213. Any arbitral proceedings which commenced before an arbitrator prior to coming into force of the amendment Act had to follow the Act before its amendment and any such proceedings which commenced after amendment of the said Act would have to follow the procedure of the new Act. The Act also provided that arbitral proceedings commenced after coming into force of the Act would be governed by the new Act. Now, in the case of Thyseen Stahlunion GMBH v. Steel Authority of India Ltd. reported in MANU/SC/0652/1999 : (1999) 9 SCC 334 the relevant facts were more or less similar to those in the Saraf Agency case, namely, that the arbitration reference commenced before coming into force of the 1996 Act repealing the 1940 Arbitration Act. The setting aside application was made after the 1996 Act came into force. The Supreme Court held that a court proceeding to challenge an award, under the old Act, commenced after coming into force of the new Act was a proceeding and that the old Act would apply to it. So, considering the provisions of the amendment act of providing security to obtain stay of the award, pending hearing of the setting aside application, this court in the Saraf Agencies case held that on a harmonious construction of Section 26 of the Arbitration and Conciliation Act, 1996 the benefit of Section 6 of the General Clauses Act was retained. Any arbitral proceedings commenced before coming into force of the amendment act would be governed by the Act, before amendment till the adjudication of the validity of the award. Therefore, filing of a setting aside application, within time in such a case operated as an automatic stay. Only arbitral proceedings commenced after the new Act and court proceedings emanating from them would be governed by the amendment Act. 6. The facts of the case at hand are also similar. 7. Mr. S.N. Mookherjee appearing for the award holder tried to get around the difficulty caused by the decision in various ways. He argued that Section 26 operated unless agreed otherwise by the parties. He said that the Arbitration Clause was different in this case. It provided that the arbitration would be in accordance with the Arbitration and Conciliation Act, 1996 and any statutory modification thereof. This meant that the arbitration reference and the court proceedings would be according to the amended provisions and that by inserting this provision in the agreement the parties had waived their rights under Section 6 of the General Clauses Act, 1897. 8. Four judgments were cited by learned Counsel on this point, Madhava Hytech-Rani v. Ircon International Limited reported in MANU/DE/3371/2016, Tantia-CCIL (JV) v. Union of India reported in MANU/DE/3720/2016, Shiv Shakti Enterprise v. Union of India reported in 2016 SCC OnLine All 848 and Ratna Infrastructure Projects Pvt. Ltd. v. Meja Urja Nigam Private Limited reported in MANU/DE/0944/2017. 9. In all these cases the arbitration clause provided that the arbitration would be governed by the Arbitration and Conciliation Act, 1996 or any statutory modification thereof. The Delhi and Allahabad High Courts have held that once the parties agreed that any statutory modification of the said Act would apply, it was to be assumed that the parties accepted that the amended provisions of the said Act would start governing their relationship. 10. Very unfortunately, the law on the subject was not properly shown by learned Counsel to the courts. The General Clauses Act, 1897 was not even referred to. The Repeal and Savings Clause was also not shown to the judges. If it were shown it would be plain that during repeal or amendment of any legislation there is usually a Repeal and Savings Clause. It declares whether all or some of the vested rights under the un-amended Act were being taken away by the amending or new Act. If it does not say so expressly the vested rights are preserved under Section 6 of the General Clauses Act, 1897. This court has held in Saraf Agencies Pvt. Ltd. and Ors. v. Federal Agencies for State Property Management and Ors. reported in MANU/WB/0189/2017 : AIR 2017 Cal 65 that the Repeal and Savings Clause of the Arbitration and Conciliation Act, 1996 namely Section 26 of the Amendment Act does not take away any vested rights. Therefore, if no vested right was taken away by the amending Act, if a party had agreed to be bound by the statutory modification of the old Act, he is only bound by the nature, extent, scope and effect of the amendment as applicable to his case by operation of the Repeal and Savings provisions of the Act read with the General clauses Act, 1897. "The qualifying words "as amended" relates to the present state of affairs existing on the date of the agreement or at the highest on the date of commencement of the proceeding. Plain and simple it means that the 1996 Act with all its amendment shall apply to such a dispute when the cause of action arises, that is, to say the notice under Section 21 of the 1996 Act by which an arbitration proceeding commence under the 1996 Act. The four judgments cited by the decree holder contain sweeping and omnibus clause even to cover statutory modifications that might take place after commencement and hence there would be no requirement to enter into any fresh agreement. I am unable to read the present arbitration clause to include future modifications." 12. In this case I do not think the parties agreed to give up their rights under the General Clauses Act, 1897 and the Repeal and Savings provisions and accept application of the new Act. 13. For all those reasons this contention of Mr. Mookherjee fails. 14. Mr. Mookherjee also pointed out to this court the recommendation made by the Supreme Court to the government in National Aluminium Co. Ltd. v. Pressteel & Fabrications (P) Ltd. and Another reported in MANU/SC/1082/2003 : (2004) 1 SCC 540. It did not favour "automatic suspension of the execution of the award" upon filing of the Section 34 application. Its recommendation was in the following terms. "11. However, we do notice that this automatic suspension of the execution of the award, the moment an application challenging the said award is filed under Section 34 of the Act leaving no discretion in the court to put the parties on terms, in our opinion, defeats the very objective of the alternate dispute resolution system to which arbitration belongs. We do find that there is a recommendation made by the Ministry concerned to Parliament to amend Section 34 with a proposal to empower the civil court to pass suitable interim orders in such cases. In view of the urgency of such amendment, we sincerely hope that necessary steps would be taken by the authorities concerned at the earliest to being about the required change in law." 15. Now, let me come to the argument made by learned Counsel on the amended Section 36 of the Arbitration and Conciliation Act, 1996. The amended Section 36 is set out below. "36. Enforcement:- (1) Where the time for making an application to set aside the arbitral award under Section 34 has expired, then, subject to the provisions of sub-section (2), such award shall be enforced in accordance with the provisions of the Code of Civil Procedure, 1908 (5 of 1908), in the same manner as if it were a decree of the court. (2) Where an application to set aside the arbitral award has been filed in the court under Section 34, the filing of such an application shall not by itself render that award unenforceable, unless the court grants an order of stay of the operation of the said arbitral award in accordance with the provisions of sub-section (3) on a separate application made for that purpose. Provided that the court shall, while considering the application for grant of stay in the case of an arbitral award for payment of money, have due regard to the provisions for grant of stay of a money decree under the provisions of the Code of Civil Procedure, 1908." 16. You will find a marked difference between the Section prior to its amendment and that after amendment. The latter says that filing of an application under Section 34, to set aside the award does not automatically operate as a stay of the award. Another application has to be made by the award debtor to the court, under the proviso to sub-section-3 of Section-36. The proviso stipulates that the court would have to consider the issue on the principles governing stay of a money decree under the provisions of the code or in other words Order 41 of the Code. 17. Mr. Mookerji argued that the amendment to Section 36 of the Arbitration and Conciliation Act, 1996 was procedural. There was no dispute that Section 6 of the General Clauses Act, 1897 did not protect procedural amendments. 18. Learned Counsel argued that one of the tests to determine whether an enactment relates to substantive law or procedural law is to ascertain whether the mandate of the legislature is mandatory or directory. In procedural matters it is normally directory (see Vidyawati Gupta and Others v. Bhakto Hari Nayak and Others reported in MANU/SC/0921/2006 : (2006) 2 SCC 777). A special bench of our court held through the judgment of the Hon'ble Mr. Justice Joymalya Bagchi in Union of India v. Amitava Paul along with connected matters reported in MANU/WB/0371/2015 : AIR 2015 89 (FB) cited by Mr. Mookherjee that the requirement under Order 41 Rule 1(3) of the code for the appellant to deposit or furnish security of the decretal sum in respect of an appeal from a money decree was directory. Resting his case on this judgment he argued that the amendment to Section 36 of the Arbitration and Conciliation Act, 1996 requiring an applicant in an application to set aside an award to deposit or furnish security in respect of the awarded sum was a procedural provision. Therefore, the respondent was entitled to compel the petitioner to deposit the sum representing the award or security for a like amount. 19. Mr. A.K. Mitra for the award debtor put forward his argument succinctly. He first cited State of Punjab and Others v. Bhajan Kaur and Others reported in MANU/SC/7644/2008 : (2008) 12 SCC 112, Suhas H. Pophale v. Oriental Insurance Company Limited and Its Estate Officer reported in MANU/SC/0093/2014 : (2014) 4 SCC 657 to explain the principles to be followed in interpreting new or amending statutes for the purpose of ascertaining to what extent the vested rights have been preserved or extinguished. He analysed the provisions of Sections 34 and 36 of the Arbitration and Conciliation Act, 1996 before and after their amendment. 20. He said that under Section 34 before its amendment 1996 an application to set aside an award could be made within three months from the date on which a party making that application had received the award and within a further period of thirty days if the court was satisfied about the cause of delay and condoned it. It could not be made thereafter. Under Section 36 before its amendment an award could not be executed by the award holder within the time granted to a party to make an application to set aside the award. If within such time such an application was filed in court the award could not be enforced until and unless the application was refused. In other words, if an application to set aside an award had been properly filed in court it operated as an unconditional stay of the award and automatic suspension of its execution. Only after the application to set it aside was dismissed by the court, could the award holder enforce the award. After amendment of Section 36 this state of affairs was done away with. Filing of an application to set aside the award did not operate as an automatic stay. A stay application had to be made. This stay application was required to be considered on the same principles as taken into account by the appellate court while dealing with an application for stay of a money decree. In other words, the provisions of Order 41(1)(3) and Order 41 rule (5)(5) of the Code of Civil Procedure would apply and the appellant had to deposit or secure the awarded amount to obtain stay of its execution. 21. Learned Counsel submitted that the condition under which the application to set aside the award was to be filed were changed by the amendment. This interfered with the substantive rights of the parties. This amendment could not be termed as merely procedural. The rights under the General Clauses Act, 1897 were not touched by the amendment. Hence, in respect of arbitration which commenced before the amending Act came into force, the law prior to amendment applied. 22. In State of Bombay (in both the appeals) v. 1. Supreme General Films Exchange Ltd. and 2. Arati Cotton Mills Ltd. reported in MANU/SC/0007/1960 : AIR 1960 SC 980 cited by Mr. Mitra. Mr. Justice Das pronouncing the judgment of the Supreme Court pronounced the dictum that interference with the right of appeal by inserting a new condition or a more onerous condition was not a matter of procedure only. It impaired or interfered with a substantive right. Such an enactment could not be retrospective unless expressly stated to be so. 29. All the contentions of Mr. Mookherjee fail. 30. This application (G.A. 3750 of 2015) is disposed of by declaring that no application for stay of the award is necessary to be taken out by the petitioner because there is automatic stay of the award upon filing of the setting aside application, till disposal of the same. The application to set aside the award (AP 1709 of 2015) should be heard on merit. 31. It is formally admitted. Affidavit-in-opposition is to be filed by 2nd August, 2017. List this application on 16th August, 2017. Affidavit-in-reply may be filed in the mean time. 32. Certified photocopy of this Judgment and order, if applied for, be supplied to the parties upon compliance with all requisite formalities.